The last day was very profound. We had our final session in the afternoon. We completed our study of the finishing poses. We all had a chance to work together and practice adjusting technique. Tim held our graduation ceremony. The outpour of emotion and thankfulness that everyone expressed was so heartfelt and sincere. We closed with a good chalisa session. 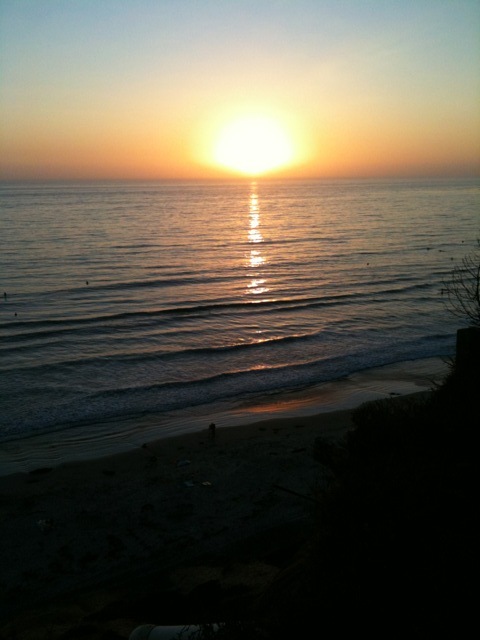 To fully complete the closing we went down to Moonlight beach for a going away party. The locals had made these three huge bonfires a a Brazilian drumming troupe jammed out until late. It was a lot of fun and Tim was as gracious as ever. This group was so much fun to be with. I genuinely feel that not one person was there to receive a certificate. Everyone was there to explore the yoga and it’s many facets with each other. As I listened to everyones stories I quickly realized I wasn’t the only one who was having a really challenging and yet rewarding time. There also was this great feeling and understanding that as Tim shared his love of the yoga with us it is time for us to do the same with others. In this respect I want pay homage to the great guru Sri K. Pattabhi Jois, for sharing with Tim and now with us. I feel honored to have been touched so deeply by this tradition. Namaste! Today was our last day of Mysore practice for the training. I think everyone is feeling a sense of relief that we have made it. Yet, time with Tim is so precious that knowing it is coming to a close also has me feeling so thankful to have had this time. Without the loving support of my wife and family immersions like this would not be possible. For this I am very appreciative. Today’s early morning Pranayama practice was the real deal. Tim had done such a good job of starting us very slow and easy and then ramping it up to today. Tim is a Pranayama master. Beyond even his extensive knowledge of asana practice, Tim’s understanding of the breath is remarkable. Today was a reminder of my first days trying to keep up with him. He has been practicing this for so long, he makes it seem like a walk in the park. I hung in there but when we got close to the end I had to gasp a few times. Something about the challenge and intensity of control over the diaphragm and our immediate tendency toward panic in an uncomfortable situation brings about a sense of relief and relaxation when practice is complete. This is yet another reason why I love Ashtanga yoga so much. So much complexity!! Sometimes people say “doesn’t it get boring to do the same sequence every day?” How we move into a pose can be so different one day to the next. The consistency of the sequencing allows for steadiness especially when our minds can be so shaky. This training has reminded me how interesting and fascinating the yoga practice is!!!! This evening I had the opportunity to assist Tim in his Intro to 2nd series class. It was so much fun and I watched him demonstrate for the students. Tim goes off!!!! He fully busts it out. So he has this incredible talent that he backs up with deep devotion all the while remaining humble. I honestly cannot say enough good about him. He is a true yogi and an honest teacher. I was thinking back to last Friday, a week ago, and how much I was struggling with pain. Now a week later, still pain, but not as much struggle. Guruji would call the soreness of practice sweet pain. I am so relieved to have made that transition. On the great battle field Arjuna struggled. Krishna encouraged. A metaphor for the internal struggle we all face. Advice for one who perseveres on the path. Move into union! Move into yoga! After practice this morning someone came out and said, I feel like I sweated so much it was like in was in the ocean. I think of the story with Krishna and Arjuna as like a surfboard on the wave. Arjuna is the surfer, Krishna the vehicle, the board, and the ocean and waves as the great battle field of Kurukshetra. 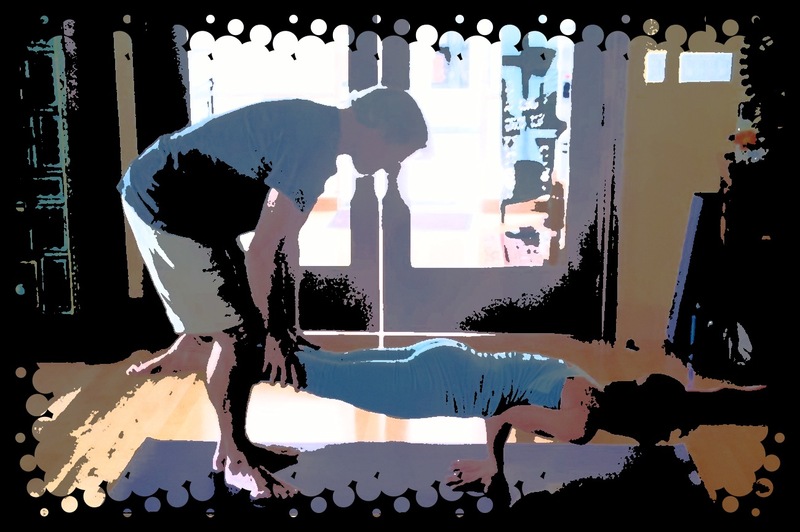 We are experience this balancing act in all that we do, whether on the mat or off. Sometimes we just need a little help to get started. Once off and riding the real fun begins. We are getting so close to the end. I am so looking forward to getting back home!!!!! Yet also don’t want this training to end. Opening the heart is such a profound experience. There are so many books and manuals available these days to help guide us along this process. I am finding that it is so different for each person though. My own personal experience is that of continuous navigation. The deep work that comes along with this process is so freeing and yet terrifying at the same time. It seems to be this continuous sense of wanting to hold on and yet feeling so much lighter when the grip softens. I can definitely say, better to dive in then sit on the shore and wonder what diving in would be like! 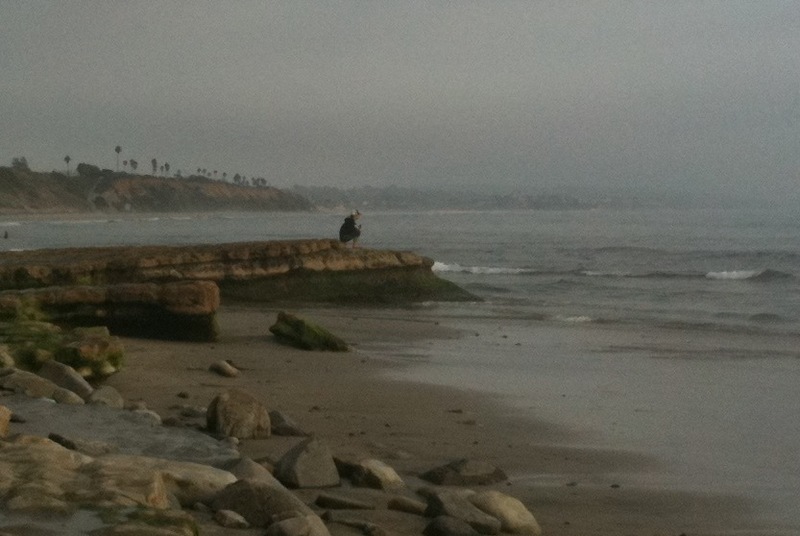 I was walking down the beach the other day just below Swami’s and I met this guy named Yogi Shane playing the harmonium. I walked over and listened to him bust out the most radical devotional songs……super classic. Because we had the morning off with no class, today I went down there again. He told me he had begun burying his body in the sand while in a yoga pose. I had to admit that it was a really unique idea. I gave it a try and he dug a deep enough hole so that I could sit in baddha konasana(feet together and knees toward the ground.) He then filled in the hole and packed the sand down. Really strong so that basically I couldn’t move at all. It was so awesome and intense at the same time. A dog ran up and started to lick my face and ears and I fully cracked up. Nothing I could do about out it. In Buddha meditation there is what is called adithan. Which means fierce sitting or sitting with no movement or with strong determination. This seemed to be following a similar thought current. A strange sense of anxiety cropped up but the process of staying present was so amazing. It took me about 10 minutes to dig myself out. I then went and jumped in the 68 degree water, (which is a heck of a lot colder than Florida) and seriously woke the senses. It was freakin’ awesome!!! We all just spent 5 hours in Yoga sutra study with Tim. The yoga sutras create an opportunity for deep introspection. So in many senses they are very challenging. Tim presents them in such a clear and concise fashion, with humor, and sincere insight. Being Tuesday, Hanuman day, we had an epic Hanuman chalisa session! The combination of the harmonium and the devotion behind the delivery is creating an interesting space for me. It is really growing on me. One of the sutras that stood out for me today was to the effect of; when there is contentment there is no need to seek happiness. So simple right?? Yet how often are we in a place of contentment? True contentment!! Since most often we are in the place of seeking happiness through an event or experience. So to experience Santosha(contentment) the need to seek drops away. The sutras then point out; well, how to experience santosha when there is suffering? This seems to be the challenge. Hence the practice. I find it very interesting that a yoga posture can be considered a gateway. A position of the body can serve as a porthole to another dimension. I suppose that dimension will differ for each individual and how we move ourselves into that dimension seems to be why practice is needed. Our entrance from one moment to the next is marked by passage. Time according to nature is our usual method of measuring this movement. Either through our observation of the Earth’s rotation in relation to the sun or in the time it takes for a flower to bloom. One way or another the passing of time continues. In yoga practice we have what are called “gateway” postures. These poses are often very difficult for the beginner and require years of practice to achieve mastery in. These “gateway” poses are often very appealing to the eye because of the artistic lines of geometry that they create. When the yogi begins to enter into this “gate”, an incredible sense of possibility is facilitated. What we choose to do once we enter is also an interesting issue. Do we use this to enhance our ego or do we direct our attention toward greater levels of compassion for all beings? I think that if we can learn apply to proper level of commitment balanced with ease and steadiness we can enter into infinite possibility. Perhaps to try to put it more simply, yoga opens us up to our true reality. On a lighter note. Tomorrow is full moon. I can’t express enough bow thankful I am for this. To have a day off from practice is such a blessing and to some maybe it is in disguise. Moon day give two days a month to reflect and rejuvenate. Tomorrow happens to be full moon. Typically during this time we are a little headstrong. Even more reason to relax. It also give some time to do laundry. Right now I am watching the coin machine spin. The yoga practice is so amazing!!!!!! Oh the lazy daze of Sunday. 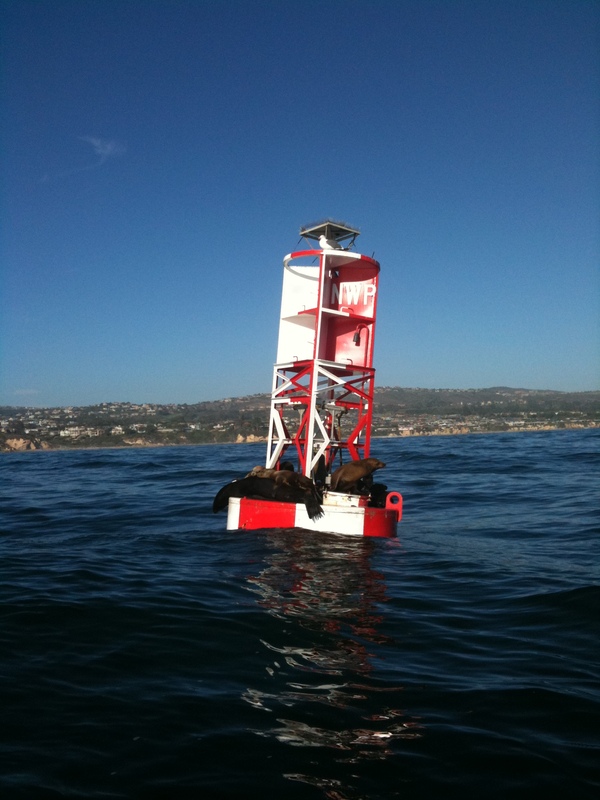 Above is a photo of some seals taking savasana on a buoy off of Newport. After this we had day off and I went up to Newport to spend the day with my family(actually Tam’s side of the family but they are so cool I am stoked to call them my family too. We went out into the ocean on a boat and saw the coast from a fresh perspective. I love Florida, don’t get me wrong, but the west coast thing is pretty radical. The water is like 68 degrees right now. That is crazy cold. Give me Florida warmth any-day. That is what is so amazing about Costa Rica. The topography is like Cali but the water us like Florida. 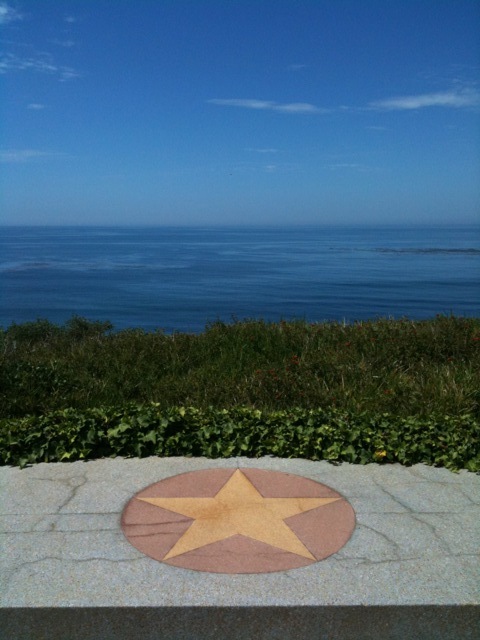 Another place worth the pilgrimage. There is something to be said about some lazy daze dreaming. !